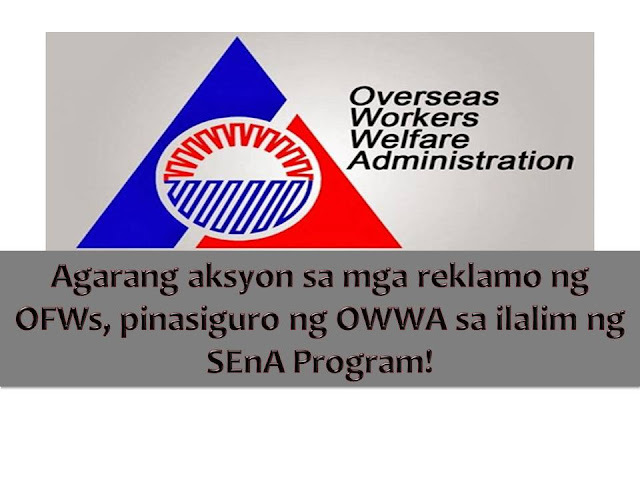 The Overseas Workers Welfare Administration (OWWA) is happy to announce that more than P135 million worth of monetary benefits was given to its member last year. The amount was paid to 5,671 overseas Filipino workers members from January to November 2016 through single-entry approach (SEnA)Program according to OWWA administrator Hans Cacdac. 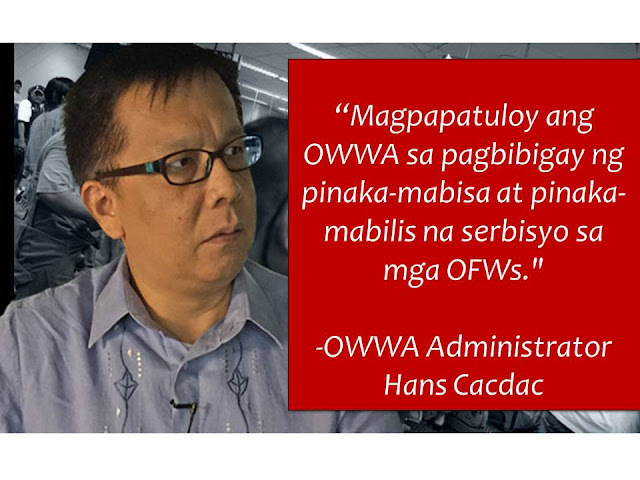 During the period Cacdac said that the OWWA managed to settle 5,067 cases from the total 5, 382 cases they received. They also dispose of its 5,723 requests for assistance. Retrieval of passport and/or travel documents. On the other hand, Cacdac said he is pleased with the outcome report by National Conciliation and Mediation Board (NCMB) on the implementation of (SEnA) Program. The report stated that the OWWA disposed and settled OFW cases within six days from filing. 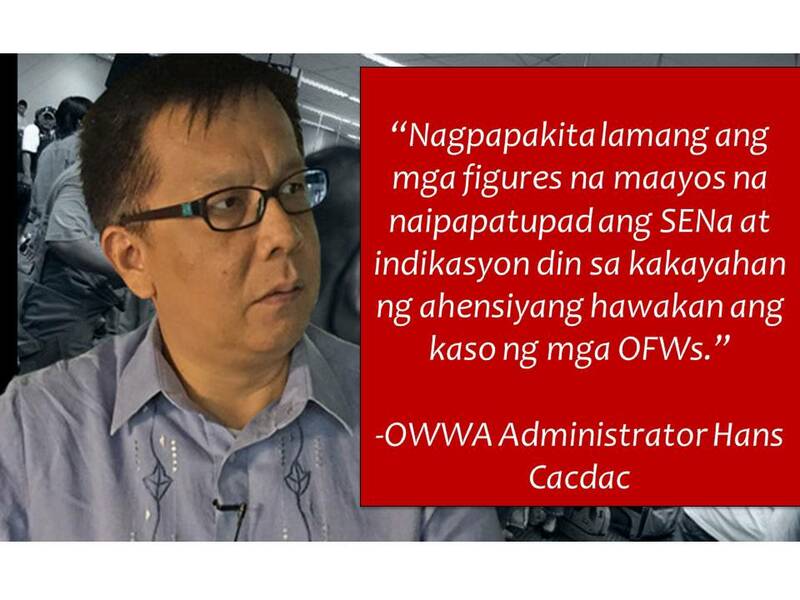 Cacdac said, SEnA lessen and/or eradicate the “turu- turuan” system in filing cases where complaining OFWs are being referred from one office to another which in effect is detrimental to the interest of the public. 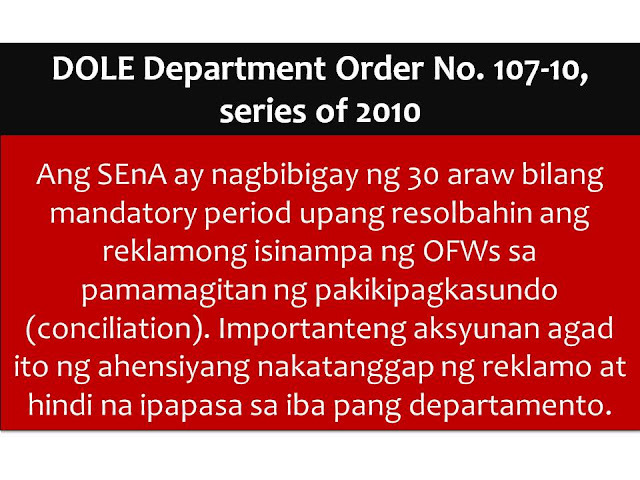 He added the agency aims to further improve OWWA’s disposition rate this year under his administration.